Beautifully broken. This is a theme continuing to show up in my life as of late. In fact, I am in the middle of a book by Ann Voskamp called The Broken Way which is challenging me to press into the brokenness and suffering in my life in order to experience more intimacy with Jesus. She says, “Maybe the love gets in easier right where the heart’s broke open.” As I dig deeper into this concept, I am more aware that God can make broken things beautiful as we press into Him. Can I love God more and can I love others more even when I am broken? That is the challenge. I see brokenness all around. I see it in dreams and good desires that have not come to fruition. I see it in loss, grief, and painful circumstances. I see it in broken relationships and loss of trust. I see it in disease-ridden bodies praying for healing and peace. I see it in resentment and jealousy for what we do not have. I see it in comparison and striving in our own strength. I see it in bitterness and unresolved conflict. I see it in anger and unmet expectations. I see it in our desire to be right and refusing to lay aside our pride. I see brokenness each week as we serve women, all coming from different backgrounds, but each filled with their own hurt and pain. One way I see brokenness play out in my own life daily is in my interactions (and far too often flesh-filled reactions) to my kids. I am broken. Others are broken. It is very evident we live in a broken world. But thankfully God already knows this. Paul reminds us in Romans 3:23 that all have sinned and fallen short of God’s perfect standard. But in the verses that follow and in other places in the Bible we find hope! Paul reminds us in both Romans 3:24-25 and Ephesians 2:1-10 that even though we sin and fall short, the perfect life that Jesus lived and His sacrifice for us on the cross are our way to life. If we choose to have faith to believe in Him, we are offered the free gift of redemption, and therefore a purpose-filled life full of joy and hope in seeking to be more like Jesus! When we choose to press into Jesus in the midst of our suffering, we are able to experience freedom and intimacy that was not possible before. Only He can make broken things beautiful. Ann proposes that the brokenness in our lives can lead to abundance that can only come from God: “The miracle of intimate union, of communion, comes through brokenness-through broken places and broken people and the brokenness of Christ and being broken and given…All our brokenness meets in the mystery of Christ’s brokenness and givenness [on the cross for us]-and becomes the miracle of abundance.” When we press into our suffering and brokenness and take them to God, He can then change us and use us in ways that were not possible in our own strength (or even before the brokenness itself occurred). It reminds me of 2 Corinthians 1:3-5, “Blessed be the God and Father of our Lord Jesus Christ, the Father of mercies and God of all comfort, who comforts us in all our affliction, so that we may be able to comfort those who are in any affliction, with the comfort with which we ourselves are comforted by God. For as we share abundantly in Christ’s sufferings, so through Christ we share abundantly in comfort too.” We can receive the comfort from God when we are broken and in the midst of suffering! Praise God that He never leaves in the midst of our brokenness and suffering alone! And it is amazing that the hard trials we face can draw us closer to Him, (if we choose to press in), and then we can be used later to comfort others going through similar things. It is encouraging that God’s love will never change, and He took the shame of our brokenness upon the cross so that we no longer have to bear it, He is risen and alive and He can redeem and restore our broken lives to something more beautiful than we could ever imagine (Ephesians 3:20-21). If you haven’t heard Ellie Holcomb’s song, The Broken Beautiful, you should definitely check it out below. Take note of the truth in the words she sings, it reminds me that God alone can make broken things beautiful and is there with us while we are broken! 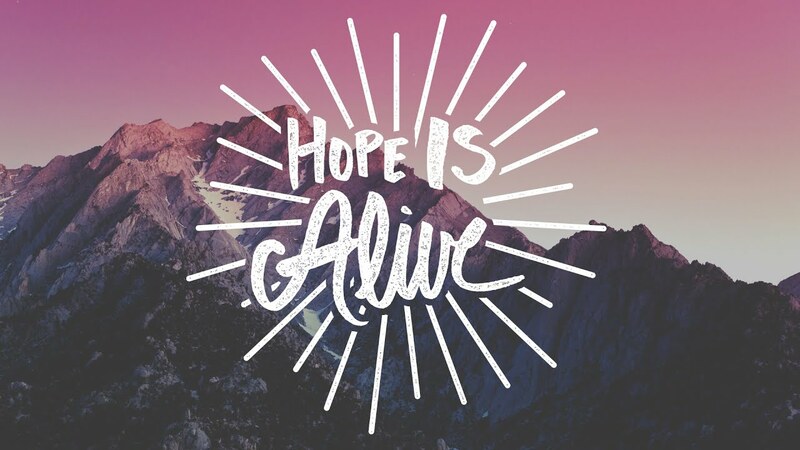 And because of that, hope is alive!